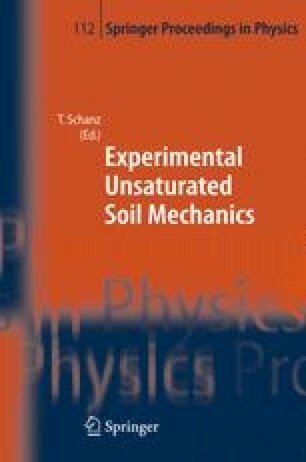 The present study examines the shrinkage behaviour of residually derived black cotton (BC) soil and red soil compacted specimens that were subjected to air-drying from the swollen state. The soil specimens were compacted at varying dry density and moisture contents to simulate varied field conditions. The void ratio and moisture content of the swollen specimens were monitored during the drying process and relationship between them is analyzed. Shrinkage is represented as reduction in void ratio with decrease in water content of soil specimens. It is found to occur in three distinct stages. Total shrinkage magnitude depends on the type of clay mineral present. Variation in compaction conditions effect marginally total shrinkage magnitudes of BC soil specimens but have relatively more effect on red soil specimens. A linear relation is obtained between total shrinkage magnitude and volumetric water content of soil specimens in swollen state and can be used to predict the shrinkage magnitude of soils.